Some of my favorite nature photographers have been sharing their best or favorite wildlife photos from 2013 over the past couple of days, so I decided to get in on the fun! 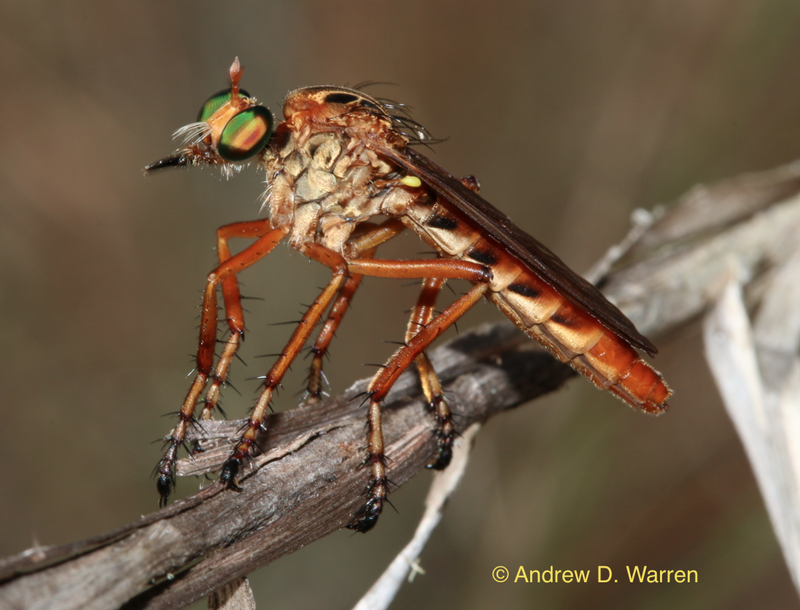 There was no way I could trim my list down to 10 photos, and it was a challenge limiting it to 20, but here they are, my 20 favorite arthropod photos from 2013, in roughly chronological order! 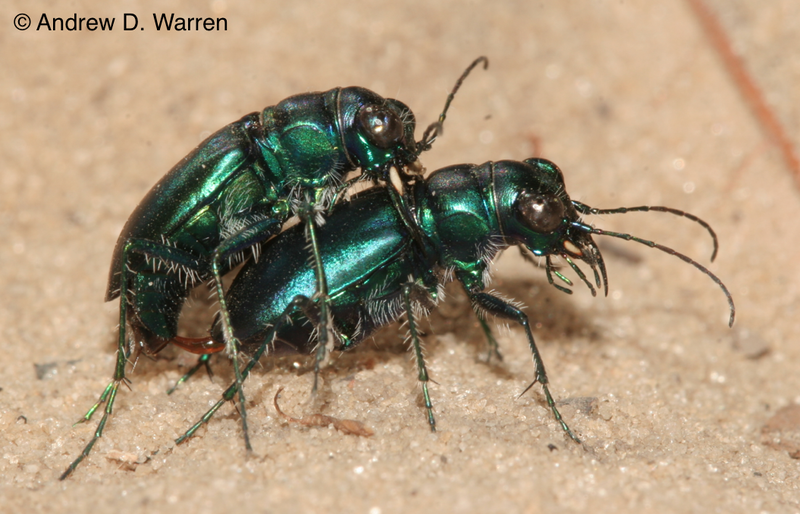 In April, I spent several weekends in the sandhill habitats of Levy County, Florida, paying special attention to Florida’s subspecies of one of my long-time favorite tiger beetles, the Festive Tiger Beetle (Cicindela scutellatis unicolor). On two different mornings I was lucky enough to find mating pairs of these beetles, which allowed me to get closer than tiger beetles normally do! On my first day in the field this summer in Colorado, I was fortunate enough to watch a large robber fly (Proctacanthus sp.) take out a flying Western Yellowjacket wasp (Vespula pensylvanica), and was able to move in for photos! 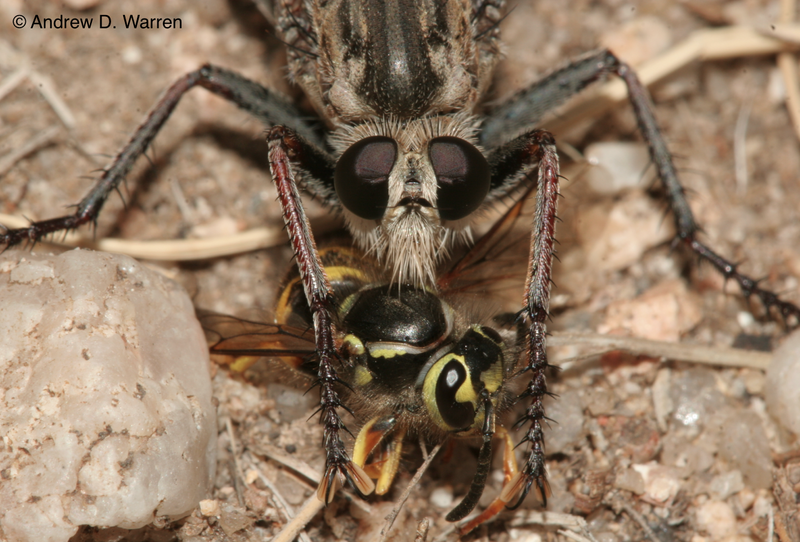 Apparently, the yellowjacket is completely defenseless when attacked by these mighty robber flies, as I witnessed similar attacks on subsequent days. I’ve always been interested in the high-altitude butterfly fauna of the Rocky Mountains, and was fortunate to encounter good weather above treeline on several days in July. 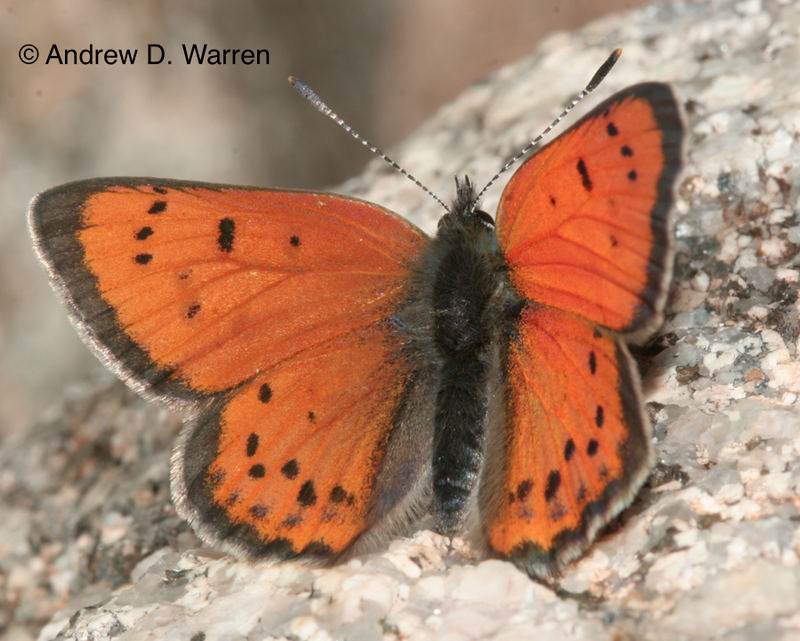 Early on July 16th, I found this male Lustrous Copper (Lycaena cupreus snowi) before he really warmed up, and was able to get closer than I ever have to this magnificent species. In October, I got a new camera (Canon 70D with 100mm macro lens), and I basically haven’t set it down since (all remaining photos were taken with this camera)! This photo of a female Salt Marsh Skipper (Panoquina panoquin) was one of the first photos taken with the new setup, and remains one of my favorite to date. 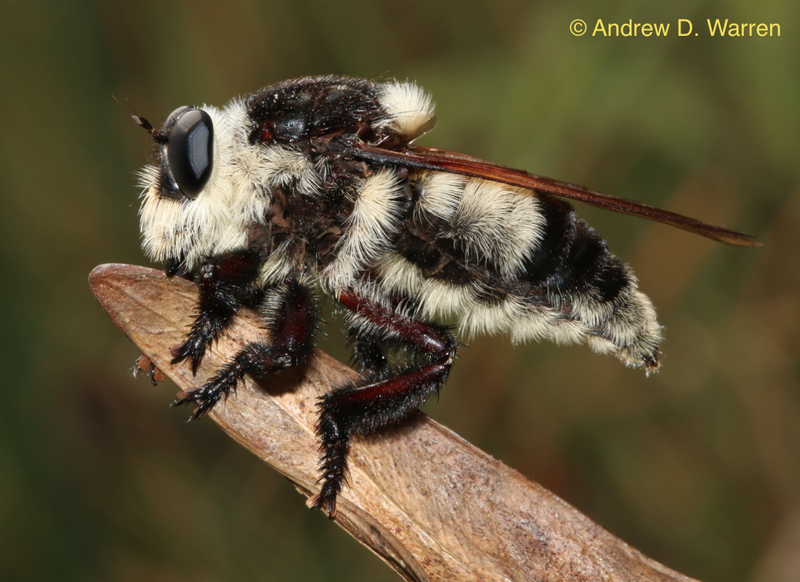 This gigantic robber fly, the Florida Bee Killer (Mallophora bomboides), is a fantastic critter to photograph, as it sits motionless for extended periods of time. Not to mention the incredible color pattern, the beautifully textured tufts of bristles, and those eyes! 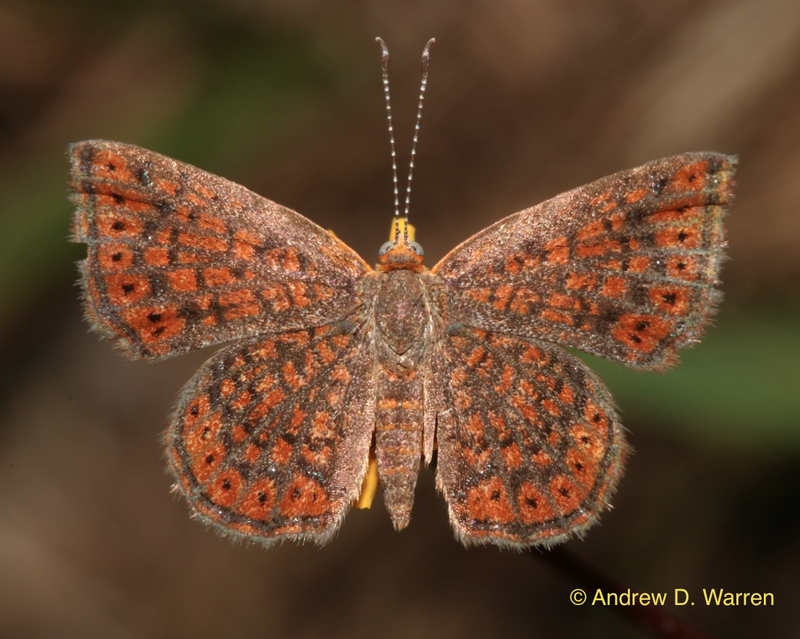 The Little Metalmark (Calephelis virginiensis) is the only member of the family Riodinidae in Florida, and is also one of the smallest of metalmarks! This tiny male was perching atop a yellow flower, waiting for passing females. 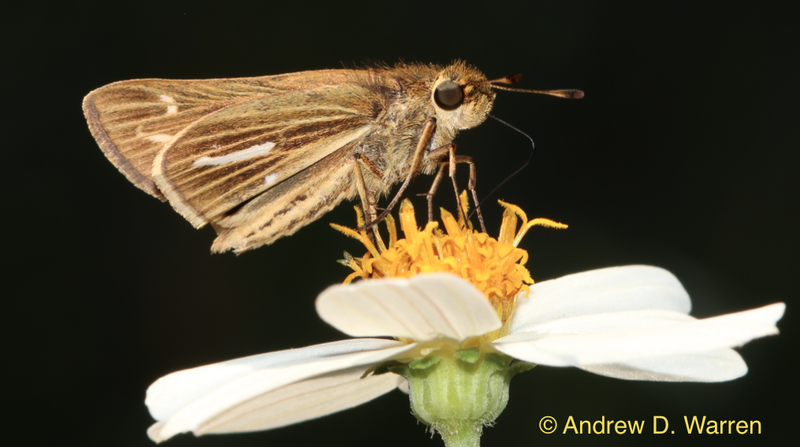 The Palatka Skipper (Euphyes pilatka) is the largest member of its genus, restricted to the southeastern USA. It is especially fond of Pickerelweed (Pontederia cordata) flowers, as shown above, and adults may spend many minutes on a cluster of these extraordinary flowers. The only downside is you pretty much always have to go wading, up to knee-deep, to get close to the blooms. 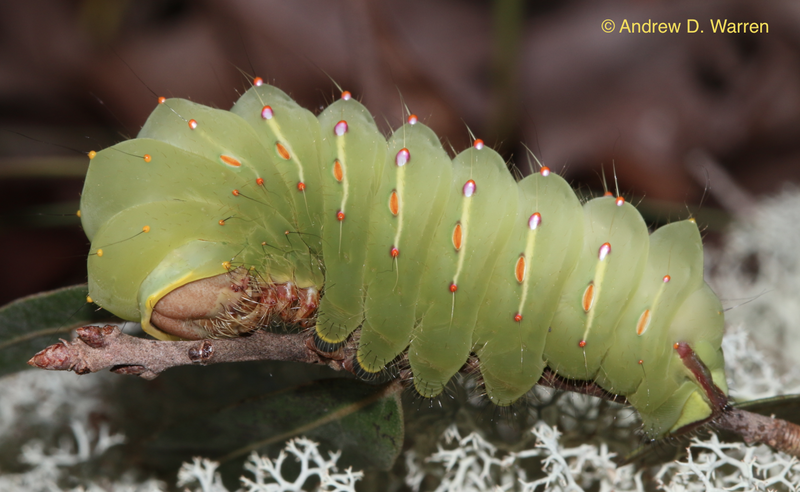 While widespread and common across much of North America, the Polyphemus Moth (Antheraea polyphemus) is a truly spectacular animal, and in my opinion, the larva is one of the most beautiful objects in all of nature. I was lucky enough to encounter a good number of these during fieldwork in Florida in 2013. Grasshoppers demanded a lot of my attention in 2013, as I attempted to learn as many species of Florida hoppers as I could. 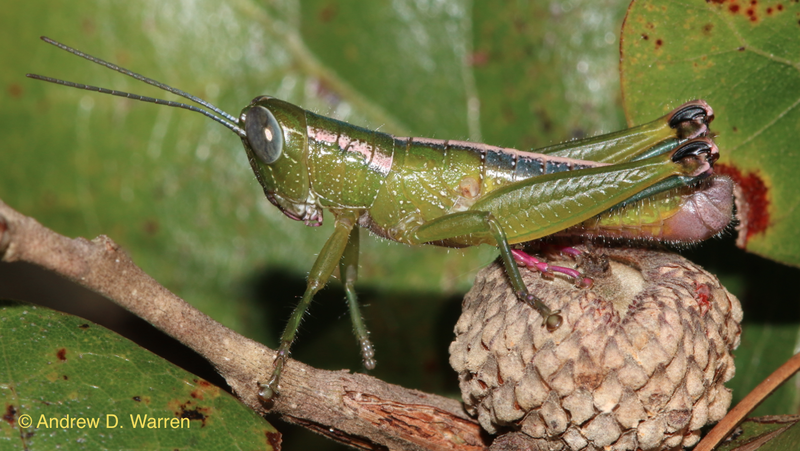 Shortly after I started my new blog, I posted a list of Florida’s grasshopper species, with photos of many species, and have updated this post periodically as I’ve obtained new photos. This photo of a male Wingless Florida Grasshopper (Aptenopedes aptera) is my most colorful grasshopper photo of the year. 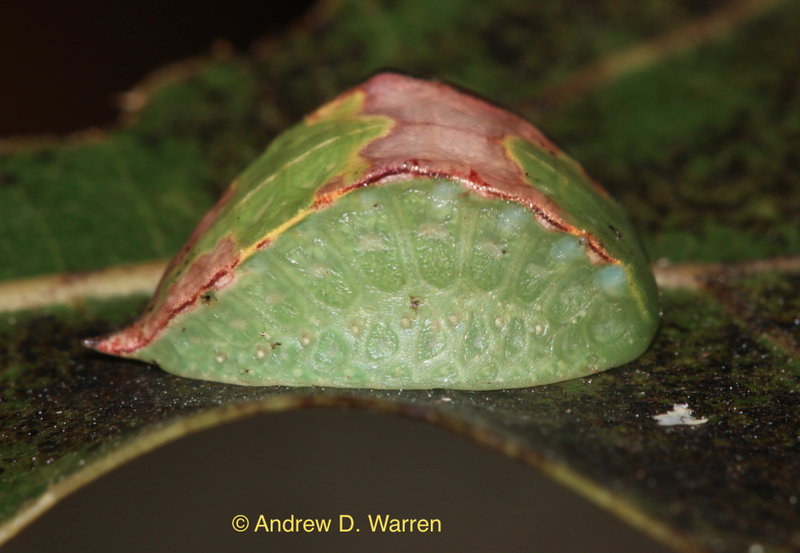 The larva of the Skiff Moth (Prolimacodes badia) is one of the most unusual of all caterpillars! In fact, it doesn’t resemble a caterpillar much at all! Its head, to the right, is tucked underneath the rest of its body, and it remains motionless for long periods of time. Its legs are highly modified, gelatinous-looking blobs that move in a wavelike motion. Thus, when walking, the caterpillars appear quite slug-like. I really love photographing robber flies, and this particular individual of Diogmites salutans perched for me for several minutes. As I was looking through the view finder, I enjoyed watching this fly swivel its head around as it tracked passing insects, potential prey items. With such a skinny neck, the head is able to move in ways I could have never imagined! 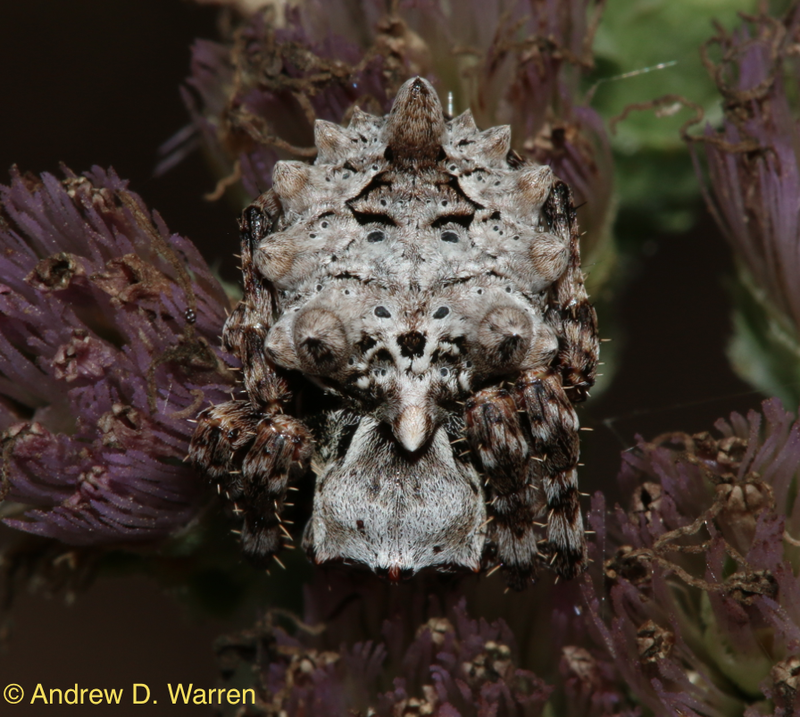 When I first stumbled across this spider, Wagneriana tauricornis, I wasn’t sure what I was looking at! From a distance, it looked like a bit of detritus or bird poop. But after identifying it as a spider and taking a few photos, I was amazed at all the faces I saw on this spider! It was the subject of my first blog post! For the past two years, I’ve been studying the population of Harvester butterflies (Feniseca tarquinius) at the Natural Area Teaching Laboratory (NATL) on the University of Florida Campus in Gainesville. 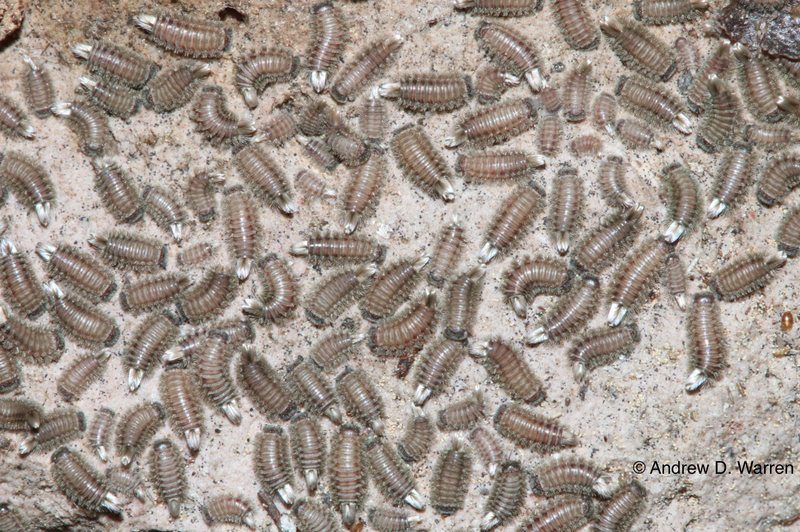 While it is easy to find and photograph larvae and even pupae, adult Harvesters are a real challenge to photograph! 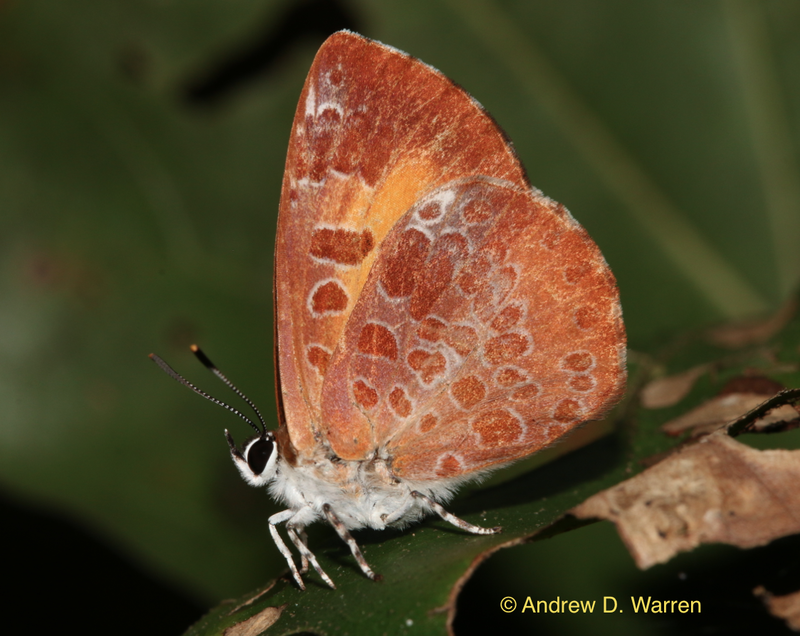 Finally, on Halloween, I succeeded in getting photos of a perching male- the last bit I needed to complete a blog post on this fascinating insect, America’s only carnivorous butterfly! Ever since “getting back into” grasshoppers, I’ve been looking for the Rosemary Grasshopper (Schistocerca ceratiola). It is a large grasshopper, entirely restricted to Florida, living only in habitats where Florida Rosemary (Ceratiola ericoides) grows. 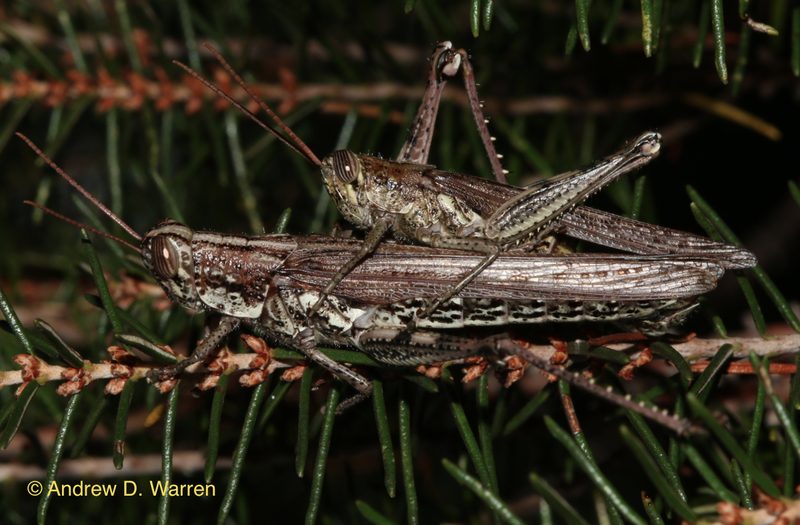 Unlike most grasshoppers that are general herbivores, the Rosemary Grasshopper feeds only on Florida Rosemary! Finally, in November, I succeeded in finding several of these reclusive grasshoppers, and dedicated not just one, but two blog posts to this awesome species. Anyone who has tried to catch or photograph tiger beetles knows how wary and fast they are, how difficult they are to sneak up on! That’s why I was astonished to find this large wolf spider (Hogna sp.) feasting upon a Festive Tiger Beetle (Cicindela scutellaris unicolor)! How this spider was able to catch the beetle remains a mystery, but I can’t imagine it happens very often! 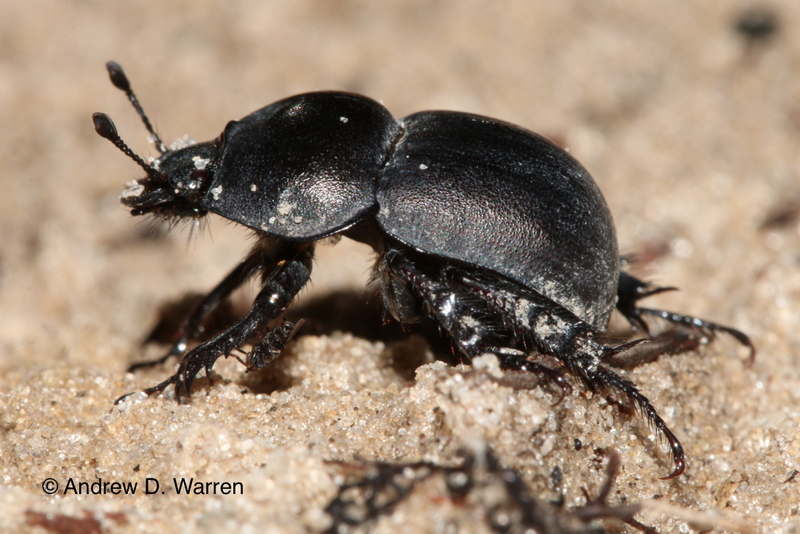 Thanksgiving Day marked the beginning of “cool winter beetle” season in Florida, with the appearance of Mycotrupes gaigei, a flightless geotrupid endemic to peninsular Florida. As detailed in this blog post by Phil Torres, a phoretic sphaerocerid fly, Cecroptera longicauda (shown above on the left foreleg of the beetle), can often be found riding around on these beetles. 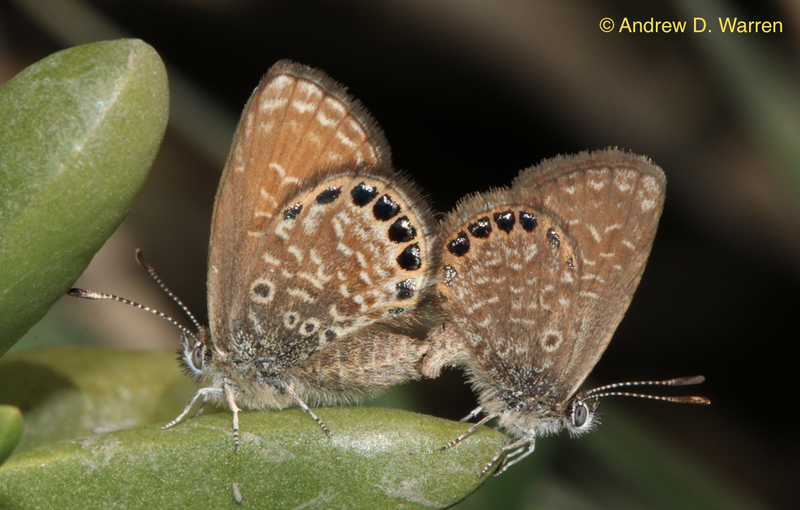 I spent my last day in the field in Florida for 2013 with the smallest butterfly in eastern North America, the Eastern Pygmy-Blue (Brephidium pseudofea). Over the course of a couple hours, I was able to observe and photo-document the lives of these little gems, and was lucky enough to watch the courtship and mating of the pair shown above! Upon arriving in Colorado for holiday break, I was astonished to find unseasonably warm conditions awaiting me! On my first bug hunt, I found masses of unfamiliar arthropods under rocks, that at first I failed to identify! As explained in this post, these little critters are some amazing little millipedes, in the genus Polyxenus, and they are protected by a unique mechanical weapon! The year ended with a surprise, on an unseasonably warm December day in Colorado! 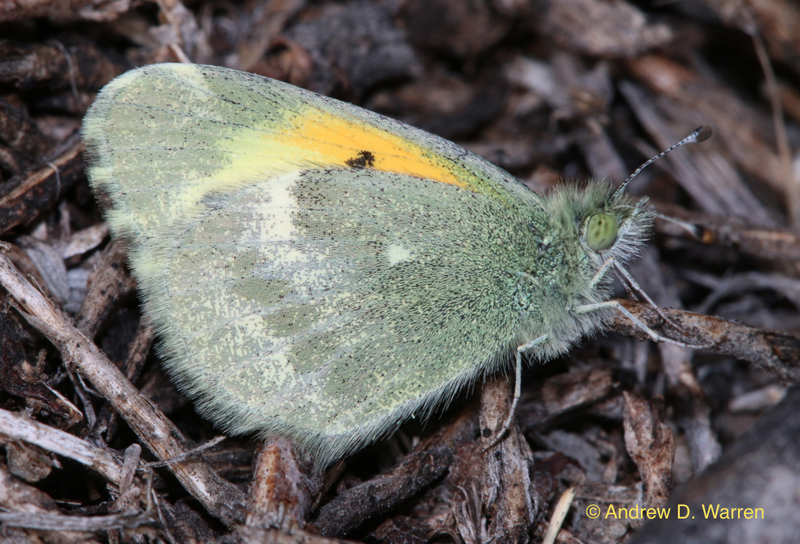 Just before mid-day on December 18th, I scared up this male Dainty Sulphur (Nathalis iole), which was the latest a non-overwintering adult butterfly has ever been found in Colorado! It was a beautiful insect to end the year with, and a significant record as as well. I hope you’ve enjoyed my favorite photos from 2013! Happy New Year! This entry was posted in Uncategorized on January 1, 2014 by LepScience. Nice selection, Andy. Glad you joined the fun. 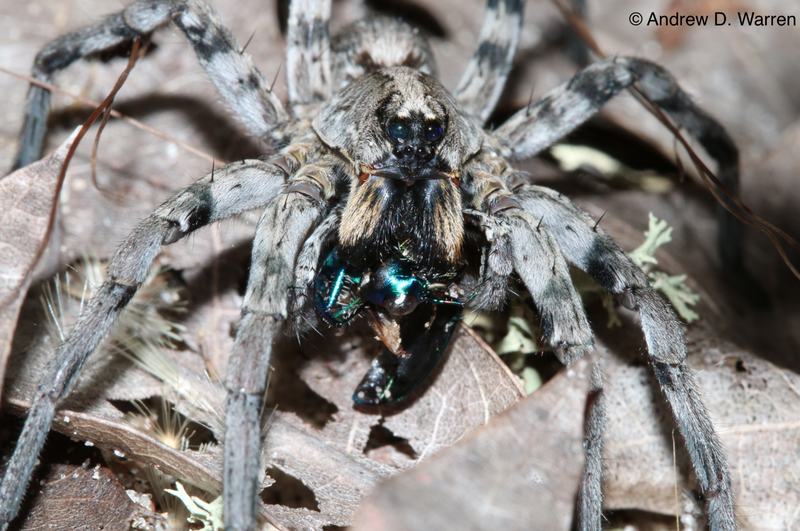 For pure visual impact I like the Florida bee killer best, but the wolf spider with tiger beetle prey (I now think it possible that it scavenged a dead or injured individual) and the polyxenid millipedes have a whole lot of seldom witnessed natural history going on. Looking forward to seeing what you come up with in 2014! 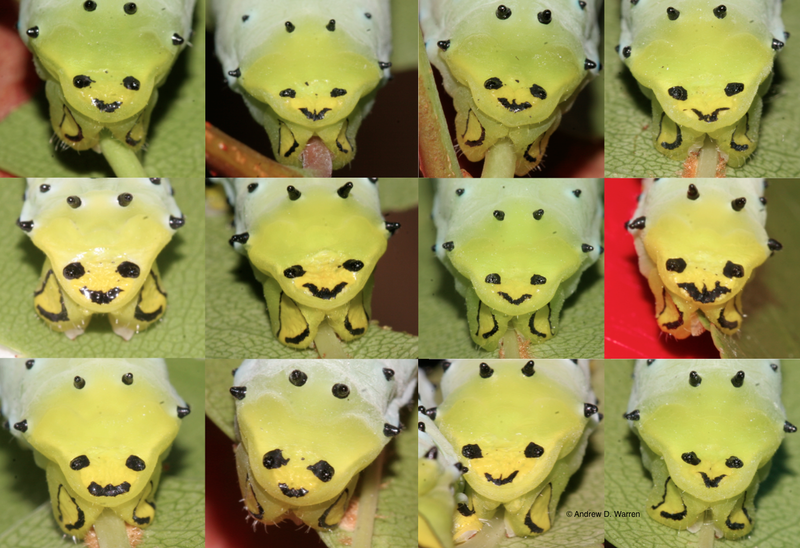 What a super collection of bug shots. I love that bee killer – have never seen anything like it! Great selection, all the way from smutty private moments, to smiley faces. Outstanding ! You know, I really am impressed with those photos. I kept urging you to get some good macro photo system. It seemed like the least I could do, to advise on those things I know a little about, after all the brilliant Ober-Taxonomist help you’ve given me. But those days are gone. That Canon 70D and macro lens are impressive! technology. Very nice photos, Andy ! They’ll be no more harassment from me, about cameras. I’ll keep watching for your posts. So Much Science in One Photo! 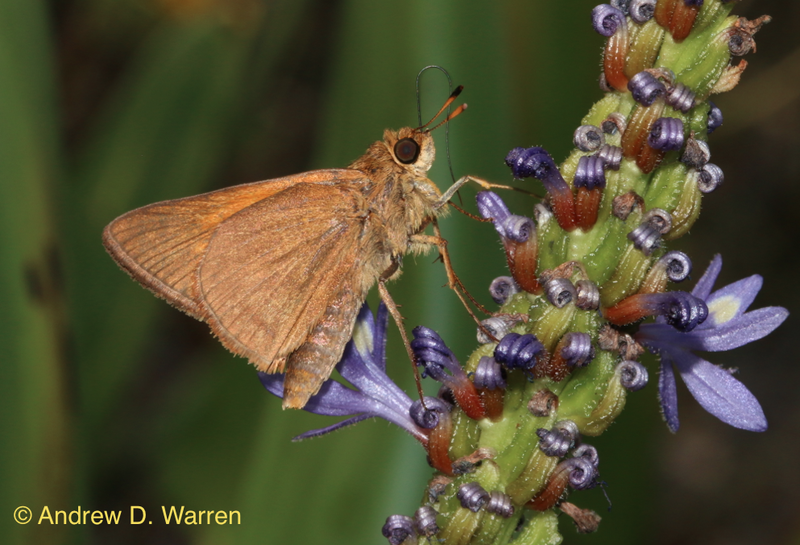 Sometimes it takes 22 years to identify and classify a skipper butterfly!